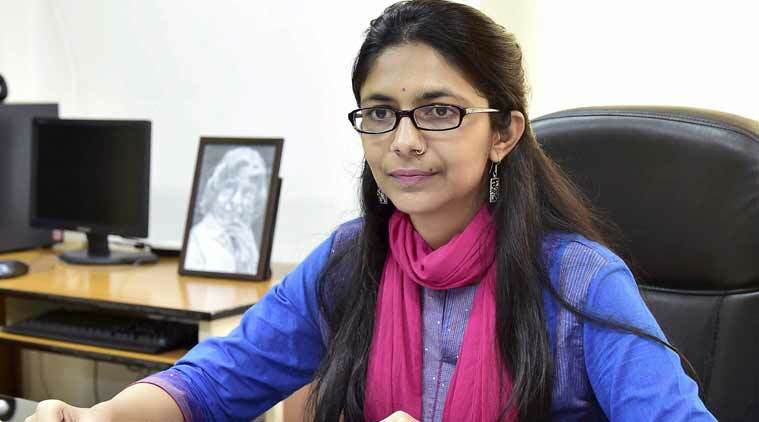 The ACB had said it was found during the probe that Swati Maliwal, in connivance with others, had allegedly abused her official position to employ associates or AAP workers beyond the authorised sanctioned strength of 26 posts, causing unauthorised benefits to them at the cost of public exchequer. The Anti-Corruption Branch on Tuesday sought more time from a special court here to conclude the further probe in a case involving Delhi Commission for Women chief Swati Maliwal for alleged irregularities in the panel’s recruitment process. The investigating officer of the ACB said that further probe was on as directed by the court earlier and he needed more time to complete it. Special Judge Hemani Malhotra granted time to the probe agency and fixed the matter for further hearing on November 7. Maliwal, who was earlier granted bail by the court in the matter, was also present at the hearing. She was summoned as accused on January 18 by the court after it took cognisance of the ACB’s charge sheet for the alleged offence of criminal misconduct by public servant under the Prevention of Corruption Act that entails a maximum punishment of seven years jail. The court, however, had said that the probe has not identified Maliwal’s associates with whose connivance the alleged “illegal practices were adopted” and directed the police to probe their role and file a supplementary charge sheet. The first charge sheet was filed by ACB on December 21, 2016 against Maliwal in connection with the alleged irregularities in the appointment of AAP workers in DCW. The ACB had taken up the probe on a complaint by former DCW chief Barkha Shukla Singh, who had alleged that several Aam Aadmi Party (AAP) supporters were given plum posts in the women’s panel. Singh, a former MLA, had filed the complaint against Maliwal and Delhi Chief Minister Arvind Kejriwal on August 11, 2016, alleging that many illegal practices were adopted by them to financially benefit aides and associates of the AAP at the cost of public exchequer. A case was lodged against Maliwal on September 19 last year for alleged offences of cheating and criminal breach of trust by public servant under IPC and provisions of Prevention of Corruption Act. The ACB had said it was found during the probe that Maliwal, in connivance with others, had allegedly abused her official position and deliberately ignored the procedures and rules to employ associates or AAP workers beyond the authorised sanctioned strength of 26 posts, causing unauthorised benefits to them at the cost of public exchequer. It was also found that the appointments were made without inviting any application by way of publication or constituting a selection board. According to the prosecution, the probe revealed that the remuneration amount was hiked in a “whimsical manner”, thereby granting undue pecuniary benefits to the close associates of Maliwal and those connected with the AAP.